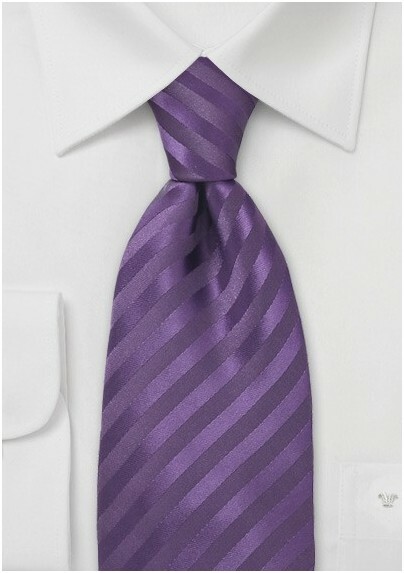 A stunning purple tie with subtle stripes by designer Parsley. It is handmade from pure silk which adds elegant shine and s soft feel to the fabric. This tie is a perfect compliment to suits in tan, navy, gray, and charcoal. To match this tie gives you many options. 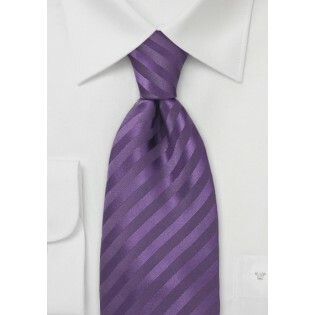 For the spring and summer months we like to add this tie to a tan suit, white shirt, and matching purple pocket square. For the Fall and Winter months we suggest a gray pin striped suit, white shirt, and purple pocket square. Made from 100% silk.